Sometimes the wrong turns out just right. I walked into the yoga studio, and after saying hello, the instructor informs me that class might be cancelled today. Instantly, I felt a little down. I had picked out a new place, woke up early, and drove 30 minutes to do a hot power class, and now I was being told it probably wasn’t going to happen. I knew I should have picked a different studio! Since I was early I decided to wait around a bit. I searched Google to see if there were any other studios in the area. Nothing close by. The instructor then informed me that she was just a substitute and wasn’t even prepared to teach a hot vinyasa class. I sunk a little bit lower, but I was still going to wait until 9 am to see if anyone else would arrive. Just then, three more people showed up and class was back on! I ended up practicing for free and got to take a mat home with me. The studio was going to take a bunch of left-behind mats to Salvation Army, and the instructor offered one to me. What a morning! And, to top things off, an organic grocery store/deli/juice bar appeared on a map just minutes up the road! 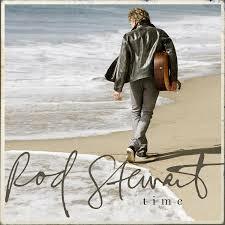 With juice in hand and Rod Stewart’s new album, “Time”, on the stereo I was ready for the rest of my day. With a little patience what could have been a disastrous morning took a turn for the best and put a smile on my face. It’s only wrong when you decide it’s wrong, when you give up on making it right. This entry was posted in Life, Love, Travel and tagged Juice, Life, Love, Music, Organic, Rod Stewart, St. Louis, Time, Travel, Vinyasa, Yoga by iamninjas. Bookmark the permalink.